This knife from Walther is made from 440C grade steel which stays razor sharp, even after thorough use, and is immune to rust and corrosion thanks to their coated surface. 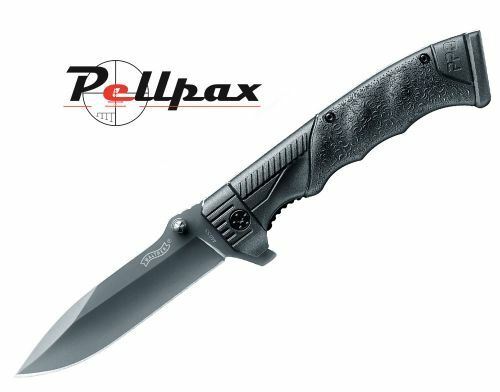 This knife is available with either or a spear point or a tanto edge. The grip is textured polymer that ensures a secure hold even in wet conditions making it ideal for outdoor use. This knife comes complete with sheath.